Contact details - Aspiehelp -- Asperger's Syndrome -- Peer Support -- Mentors and Social Workers for all ages. Aspie Help is comfortably located in rooms next to the Cashmere Presbyterian Church. We are now in our 9th year and well established there. We do quite a lot of work via email and continue to keep in touch with the wider Aspie Community, both within New Zealand and overseas. Phone: (03) 337 6337 (office) -- be prepared to leave a message if we are unavailable. Don't forget to give your contact details! Office hours are Tuesdays and Thursdays 11.00 am to 3pm. Appointments are usually 11.00am and 1.30 or 2pm. "Intake" interviews are about 1 1/2 hours long, and subsequent counselling appointments are about 1 hour. If you are visiting the office, we are in the two-storey house next door to the Church, at 2a MacMillan Avenue. Our entrance is at the side of the building. Please ring the bell by the door. Allow some time for us to totter down the stairs to let you in! 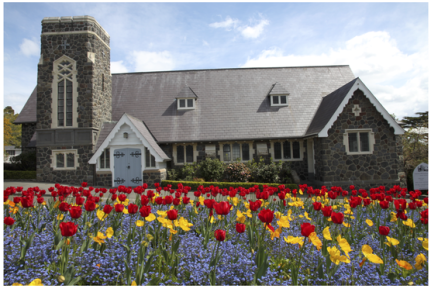 Cashmere Presbyterian Church, Dyers Pass Road, Christchurch (corner of Dyers Pass Road and MacMillan Avenue). All staff at Aspiehelp have lived-experience with Asperger Syndrome! We KNOW what it is like to be an "Aspie". We are experts in this field because we have lived experience. Professionals very often don't really understand or they subscribe to information they have been taught which is incomplete and out of date. Researchers are still discovering facts about AS which Aspies have known for a long time- but nobody thought to ask! Get the real oil from us! learn to be Out and Proud! Aspergers is not something to feel embarrassed about or ashamed of. We will advocate for you in any situation that is making you uncomfortable or holding you back. In addition, we are members of ASAN (Autism Self Advocacy Network Australasia, which has direct links with the United Nations).